PDF Restriction Unlocker eliminates security of PDF document of Adobe Acrobat 9.0, 8.0, 7.0, 6.0, 5.0, 4.0, 3.0, 2.0, 1.0 Versions. 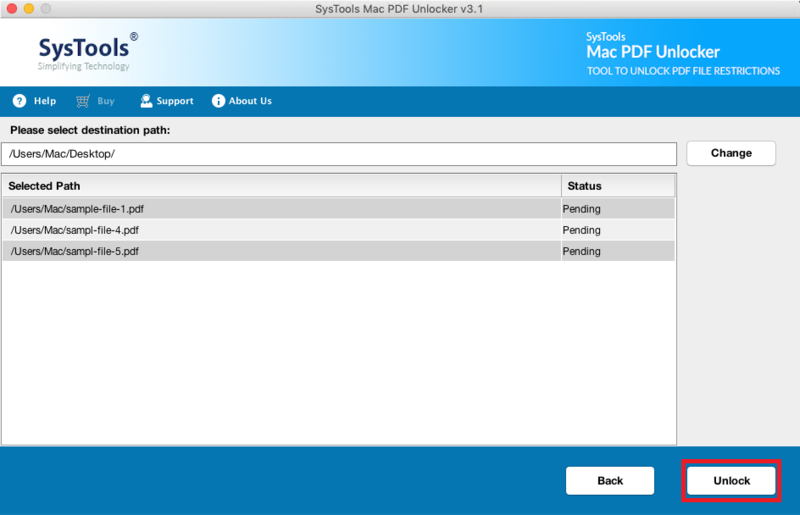 PDF Security Unlocker is compatible with Windows OS 10, 8.1, 8, 7, XP, etc. With PDF Restriction Remover Software, users can remove the protection set on PDF document. Once PDF gets unlock, then the file can be used for editing, printing, copying, and extraction. Moreover, the resultant file can be saved in any location as per their choice. The tool allows users to unlock one PDF file with help of single file mode option. It comes up with advanced algorithms and makes the task easy. PDF Security Unlocker also brings an attractive feature using which users can unrestricted Adobe PDF files in bulk. There is no need to choose the files one after the other to execute the entire process. Users have to use Enterprise license of this software for this process as single user license can work only in single file mode. Once unlocking PDF restrictions it can be saved in unrestricted mode. PDF Restriction Unlocker has the potential to remove owner level password protection from PDF files. Moreover, in the case of user level encryption, you can unlock it after providing the respective password. After removing it, users can perform editing, printing, copying, & extraction. The utility maintains the file integrity throughout the process. The original formatting will not be affected by the tool. PDF Password Remover Tool provides users a list of the entire associated permissions after loading the file. With this, users can see the status of PDF permission in two columns i.e. “After” and “Before”. The status will be changed after the removal of restrictions. Apart from this, the utility allows users to store the file by creating a new folder. This means they can save it at the desired location. This PDF Restriction remover tool allows users to remove the comment and sign security from PDF files. Once the tool removes PDF comment restrictions, users can add comments in sticky notes format & can easily highlight text. Moreover, this application also enables sign option in PDF document after removing the security. Basically, signing the PDF makes document authentic and verified. The PDF Unlocker application provides the facility to remove document assembly restrictions in the best ways. Along with this, it also enables form filling in PDF files without any data loss. However, due to security users are unable to fill PDF forms, therefore, in such situations, this PDF restriction remover tool can be used. This tool easily deletes PDF security & enable all permissions. Removing any kind of restriction that has been set, for example, if you have not enough creation to print, copy, make any changes or extract text out of it. Remove various security measures that have been applied on the .pdf document such as it removes owner level password security. Compatibility with different Adobe Acrobats version and can easily remove the password encryption (generally 128/256 bit) of the pdf documents. PDF Security Unlocker remove PDF restrictions in batch if you have many PDF documents and you want to remove the security all at once. Adobe Acrobat 7.0 which uses RC4 as well as AES for password protection. Adobe Acrobat version 5.0 to v9.0 which uses 128 bit encryption. Unlocking PDF file takes few second to some minutes and is directly proportional to the complexity of the algorithm used and password set by the users. So you might have to wait for some time in some cases to get the unlocked version of the concerned PDF document. How can I remove security from PDF files? Please describe in brief? It supports Windows 10 OS and all below version. Would I be able to edit secured PDF file with this tool? Yes, this PDF Security Remover allows the users to modify protected PDF files. 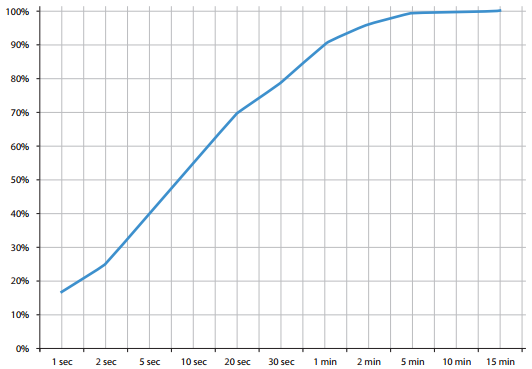 Moreover, users can also print, copy and extract PDF file data. Can I remove Owner lever password with the help of PDF Restriction Remover Software? No, the password cannot be unlocked, but all the restriction can be removed to print, edit, copy, and extract PDF document. What is the difference between user level and owner level PDF password? User level password prevents PDF files from being accessed by unauthorized users. It is also known as document opening password. Owner level password is also known as the master password. It protects PDF files from being copied, edit and print. Does the PDF Security Unlocker un-restricts more than one or multiple PDF files at once? Yes, this application is designed in such manner that it can remove security from PDF files at once without any difficulty. Can I remove restrictions from those PDF files, which are corrupted or damaged? No, the tool does not allow the removal of encryption from unhealthy PDF files. Therefore, first users have to repair them. Is it possible to run the tool in Windows 10 and remove restrictions from PDF file? 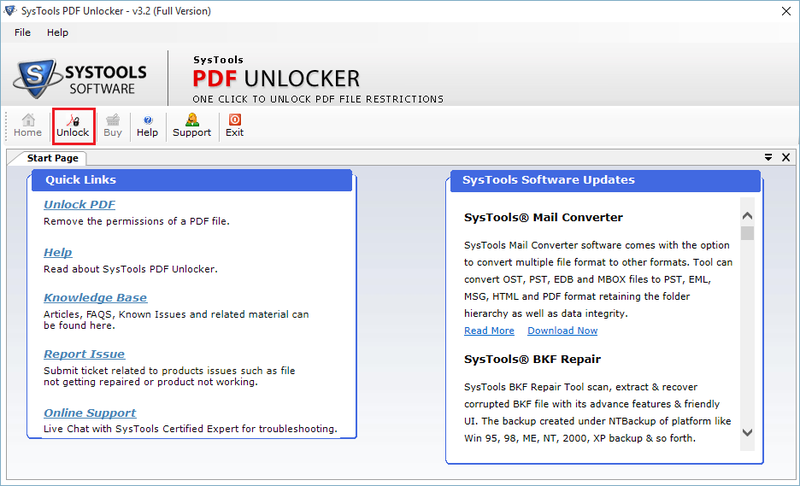 Yes, the tool PDF Security Unlocker has been designed for Windows Operating system only. Hence, can be used in every version of Windows. "I was searching for a tool, that helps me to remove security from PDF files. Then, I found PDF Restriction Remover tool. I must say it is an amazing utility because it helps me to remove owner level security from PDF files easily. Thanks for creating such utility.!!" The tool has a feature to unlock the secured PDF files. It allows removing the various limitations like copying, printing, editing, extraction, etc. In addition, the tool also removes other PDF restrictions like commenting, signing, document assembly without facing any issues. 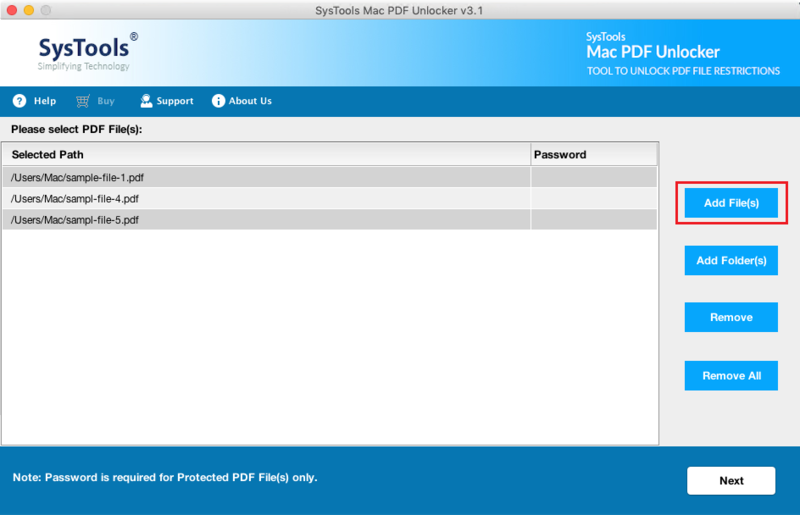 Mac PDF Unlocker application provides an Add Files or Add Folders option to load several secured PDF files to the tool. After that, this application resets the password of all PDF files within a single click. Also, users can remove the unnecessary PDF files by using the Remove option. After removing the restrictions from PDF file, the Mac PDF Password Unlocker tool generates a complete status report. Basically, this unlocking status report includes the 'Export Report' in .csv file format and 'Unlocked PDF Files'. It contains the information like unlock status, selected path, destination path, total count, fail count, and success count of PDF files. There are various types of PDF limitations which are removed by Mac PDF Unlocker tool. These limitations are printing, commenting, content copying, content copying for accessibility, document assembly, signing, page extraction, filling of form fields, and template pages creation. User need to enter PDF password at once and remove user level password completely. With the help of this tool, users can maintain their original file formatting like object forms, graphics, hyperlinks, images, etc. even after removing the restrictions from the PDF files. It will also preserve the PDF attachments and data integrity. There will not be any loss of information while PDF security removal process. The Mac PDF Unlocker tool is compatible to work with Mac OS X 10.13 High Sierra, Mac OS X 10.12 Sierra, OS X 10.11 El Capitan, Mac OS X 10.10 Yosemite, OS X 10.9 Mavericks, OS X 10.8 Mountain Lion. Moreover, PDF Security Remover utility is designed with a user-friendly interface which makes easy for users to work with it. 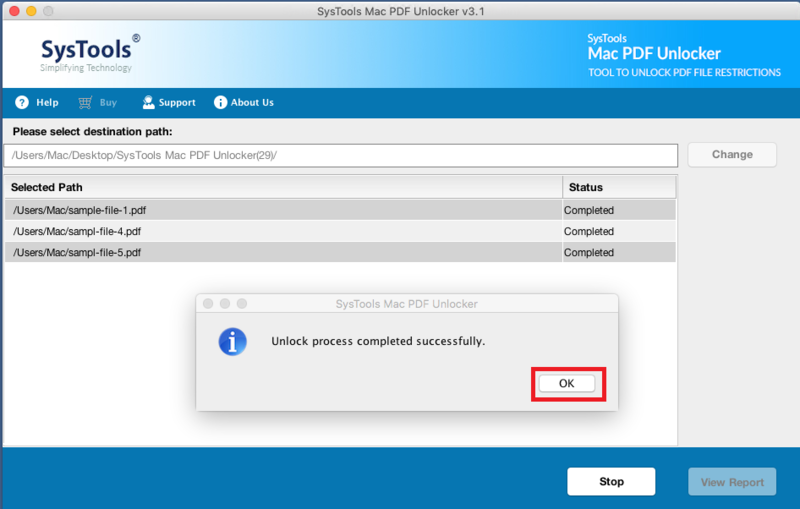 Demo version of Mac PDF Unlocker software will remove restrictions from PDF files, but while saving you will get Demo watermark on output PDF Files. How do I enable edit option to unlock the PDF file? To enable edit option, first, you need to eliminate the restrictions from PDF file by using Mac PDF Password Unlocker tool. Does the tool unlock the PDF file if I do not remember the password? In order to unlock the restricted PDF file and removing security, it is necessary to remember the password of PDF file. Is there any requirement to install any other application to use this tool? 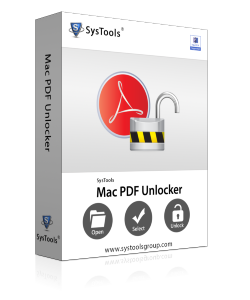 No, there is no need to install any other supportive application to access this PDF Unlocker application on Mac operating system. Even, this tool works in the absence of Adobe Acrobat. 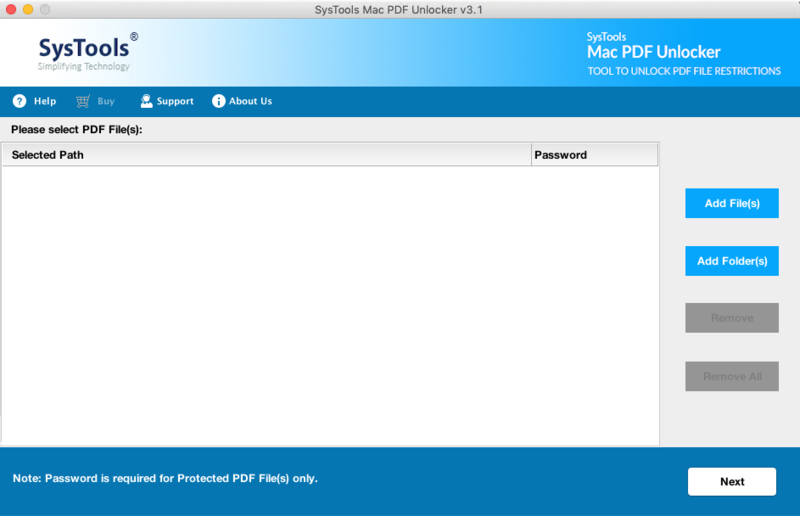 Can I view all unprotected PDF file by using this Mac PDF Unlocker tool? Yes, the utility provides an option to open and preview the unsecured PDF files either from the destination location or directly from the software panel. Does the PDF Password Unlocker tool permanently remove the restrictions? Yes, by using Mac PDF Unlocker utility, you can unlock all types of restrictions from PDF file on the permanent basis.